Are you unhappy with the appearance of your chin or jawline? Do you consistently feel like your chin is throwing off your facial balance, whether it’s because it’s too large or too small for your face? If any of the above questions resonate with you, you could be a good candidate for chin augmentation surgery. Here’s how to tell if this surgical procedure can help address how you feel about your chin or jawline. The best candidates for chin augmentation surgery are people who feel self-conscious or frustrated with the appearance of their jawline. For example, some people feel that they have a “weak” jawline, as their chin doesn’t protrude far enough or appears too small. This can be a particularly sore spot for men, as having a “strong” jawline can be a desired masculine attribute. As another example, some people may feel that their chins are asymmetrical, which throws off their entire facial appearance. Regardless of how you want to change your chin’s appearance, it’s important that all chin augmentation candidates have a healthy expectation for the outcome of their surgery. Additionally, candidates should be non-smokers or willing to quit for a minimum of six weeks before their plastic surgery procedure. In order to determine if you’re a candidate for chin augmentation surgery, you’ll need to schedule a consultation with board-certified plastic surgeon Dr. Rudy Coscia. 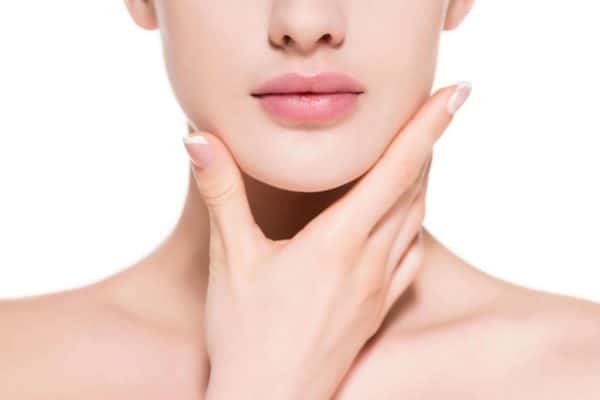 During your consultation, he’ll discuss how you feel about your chin, your desired outcomes, and what you can expect from the surgical procedure. He’ll also examine your medical history to ensure that you’ll be safe and healthy during your treatment. Want to learn if you’re a good candidate for chin augmentation surgery? Schedule a consultation with board-certified plastic surgeon Dr. Rudy Coscia at his new plastic surgery practice in Granite Bay, CA.